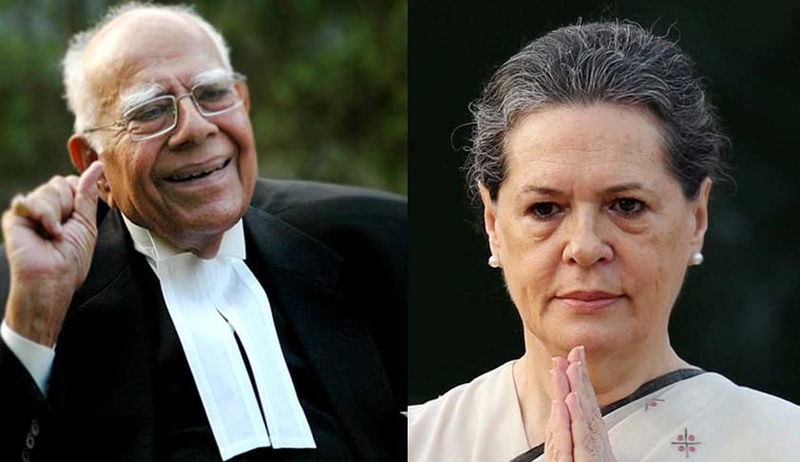 Mr. Ram Jethmalani’s blog has brought to light letters exchanged between him and Congress Chief Sonia Gandhi. In the letter dated December 10, 2015, Mr. Jethmalani had expressed disappointment with the disruptions in the Rajya Sabha. “As a senior practicing Counsel and Parliamentarian I am not happy with what has been happening in the Rajya Sabha for the last few days. The institution of Parliament is suffering total loss of public respect. This does not augur well for Indian democracy,” he wrote. He then wrote that while he had “no reason” to doubt Mrs. Sonia Gandhi’s stand that the prosecution against her and her son was false and malicious, he felt that the same needs to be established in Court and “not by tumult and disorder in the Rajya Sabha”. Incidentally, the blog also has a letter from Mrs. Gandhi dated December 11, acknowledging his communication and stating, “I appreciate your kind offer of assistance”. Mr. Jethmalani’s letter was written days after the Delhi High court dismissed the petitions filed by Congress President Sonia Gandhi and Vice President Rahul Gandhi challenging the summons issued by a Trial Court on a Criminal Complaint filed by Dr. Subramanian Swamy. The Court also dismissed the plea to dispense with the personal appearance of the Accused before the Trial Court. Mr. Subramanian Swamy had alleged that they had fraudulently acquired Associated Journal Ltd. (AJL) that used to publish the now redundant National Herald newspaper, and transferred its assets worth crores of rupees to another company, Young Indian. You may read the LiveLaw story here. In its article titled, Ram Jethmalani offers Herald help, Sonia Gandhi yet to accept it, TOI had failed to publish the first two paragraphs of Mr. Jethmalani’s letter, which he condemned as being driven from their “diabolical motivation”.